In this digital age, I believe books and literature are more important than ever. A screen doesn’t feed the imagination or expand the mind in the way that something on a page (paper or electronic) does. International bestselling author Joanna Trollope joins us to talk about her latest novel. Balancing Act tells the story of Susie Moran, founder of a successful female-run family business, based in the Stoke-on-Trent potteries. But what will happen when the men in the family start to meddle? Joanna Trollope has written 17 bestselling novels, and was made an OBE for services to literature. Q. What was the first book that you would say really struck a chord with you, and why? A. Like so many people who grew up before the age of television and the ubiquitous screen, I can’t really remember NOT reading….And being a newly reading child immediately post war, there weren’t a huge number of childrens’ books around, as books in general had been sent for salvage as part of the war effort. So, I ended up reading the books my mother and grandmother had grown up on, and I do remember being extremely struck by Frances Hodgson Burnett’s A Little Princess, partly because the idea of having a respectful Indian servant seemed more fantastical than anything that happened in the story…..In fact, over six decades on, I still think that! Q. Was there someone, or something, who inspired you to first get into writing? A. I don’t honestly think so. I was always spellbound by story itself, by narrative, and I didn’t really mind if I was being told stories or telling them myself. I think that realizing that story is how we all live our lives – public as well as private – is probably what got me into writing. Q. What role do you believe books and literature have to play in an age where so much of our time is dominated by technology? A. I think books and literature are more important than ever. A screen – which renders the viewer essentially passive – doesn’t feed the imagination or expand the mind in the way that something on a page (paper or electronic) does, because on the latter,one is required to visualize people and places, and thus engage and participate. Technology will, I’m sure, calm down in a few years’ time to take its proper place as both a fantastic tool, and just another way of reading or acquiring knowledge – but it is essentially limited, and therefore not as enriching to the heart and mind as works which demand more from the reader in the first place. Q. 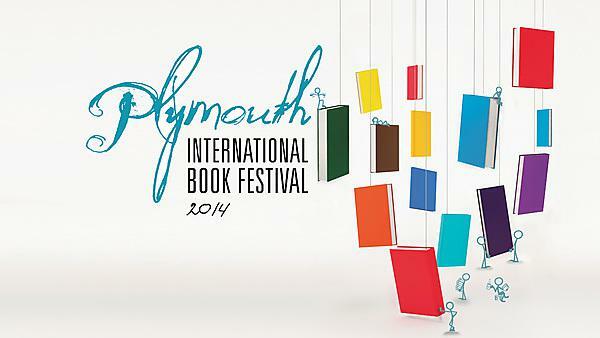 What can people expect at your talk/event at the Plymouth International Book Festival? A. I hope they will be entertained, stimulated and encouraged to read and discuss and argue and generally be reminded that books are where all the great ideas are. Q. Do you look forward to talking to people about your work, and what is the one message you hope the audience will take away with them? A. Always. I love meeting readers. Q. What is the best piece of advice you could give to someone who thinks they have a story to tell but is unsure of how to go about it? A. I think what aspiring novelists have to do is train their powers of human observation, because often the smallest details are the most telling in indicating thought or motive or character. So I always suggest carrying a notebook with you, in which to scribble down ideas, or snatches of conversation you might overhear, or descriptions of things you see, in order to make you acutely aware of what people give away by what they say, or wear, or do – or even by what they appear to be trying to hide! You have to become a sort of benevolent human sleuth – but never forget that you are on the side of humanity. You have to understand, even if you condemn some actions, that novelists are always at their most convincing when they make the reader see WHY someone behaves as they do, even if the behavior is reprehensible. That way, the reality – and therefore believability - of fiction lies. Q. If you were to recommend one book that people should read this year, what would it be and why? A. I would recommend a wonderfully written non fiction book, which is as easy and compelling to read as a good novel. It’s Charlotte Higgins’ Under Another Sky, which is her journey round the country discovering what remains of Roman Britain. It is extremely engaging, and makes one realize how powerfully the Roman occupation influenced even our lives here today. I love talking to people about my work – it is such a thrill that anyone is interested! It’s my passion and I’m kind of evangelical about it, I want everyone to share the love and admiration I feel for Fitzgerald. Since its publication in 1925, The Great Gatsby has become one of the world's best-loved books. Sarah Churchwell's Careless People reconstructs the crucial months during which socialites Scott and Zelda Fitzgerald returned to New York in the autumn of 1922 - the parties, the drunken weekends at Long Island, the jazz clubs and speakeasies, the casual merge of high society and organised crime, and the growth of celebrity culture. The book returns to the story of Gatsby and the high-profile murder that provided inspiration for Fitzgerald's tale. Sarah Churchwell is the Professor of American Literature and Public Understanding of the Humanities at the University of East Anglia,UK. She is a writer of biographies who regularly appears on British television and radio. She is also a member of the judging panel for the 2014 Man Booker Prize. A. I remember a book my father gave me for my seventh birthday called Where Words Were Born. It was a children’s book of etymologies, and it combined my two favourite things: words, and stories. A. I can’t remember not wanting to write. I started a novel at 12. (I didn’t finish it, needless to say.) It was all I ever wanted to do. A. We need literature more than ever: it’s a repository of wisdom, knowledge, moral philosophy, and beauty. It reminds us of everything that technology isn’t; it reminds us (if we pay attention) to stop being so instrumentalist and short term, to focus on the many, many things in life that matter besides making money. For those of us who are not religious, it is one of the most important places to preserve a sense of the spiritual meanings of life. A. That I will talk a mile a minute and wave my hands a lot. Which boils down to enthusiasm, really: I just adore talking about Scott Fitzgerald in general and Gatsby in particular. A. I love talking to people about my work – it is such a thrill that anyone is interested! It’s my passion and I’m kind of evangelical about it, I want everyone to share the love and admiration I feel for Fitzgerald. So that’s what I hope they’ll take away with them in general, and in specific I feel like we have a lot of cultural misconceptions in our received ideas about The Great Gatsby, and I try to get people to think about the novel in a somewhat different way. A. There aren’t any quick fixes, unfortunately, or tests for aptitude. You just have to do it: sit down and try to write it. It won’t write itself. I live for the moments in a room when an audience connects to the story I bring and wants to know more. The questions and discussion from the audience are very often the best bit. In 2013, 200,000 children in the UK will have a parent in prison. Six out of ten boys with a father in prison will end up in custody themselves. A new work of fiction from Caspar Walsh, the author of Criminal, explores the impact of modern day tribe warfare on society. Tribe Warrior uses Britain's dark past to explore the impact of absent, imprisoned fathers on their children and UK society. Caspar uses his lifelong experience in criminal rehabilitation to tell the story of our country's current crisis of fatherless youth and where hope for the future may lie. Caspar Walsh is a writer and founder of the award winning charity, Write to Freedom. A. Lord of the Rings. The presence of the landscape and the adventure held within it. The mix between the possible, real, ancient history and magic. A. My father and his endless scribbling in a journal and his fascination with the power of stories within movies. For me it was the adventure films that really grabbed me. Jason and the Argonauts. Bladerunner. Brazil. A. Stories are the ancient glue of society. Telling stories live, round fires, in living rooms, up a mountain in a café. Nothing will ever beat the feel of real paper, the sound of the page turning, the solid, soft object in your hand. Vinyl is enjoying a comeback and books will follow the same journey. A. Yes. I live for the moments in a room when an audience connects to the story I bring and want to know more. The questions and discussion from the audience are very often the best bit. No one knows what will happen and no one can control it. A new idea, a connection with story and their own stories, identifying something that may have been hidden and leaving with more questions than answers. A desire to buy my books and spread the word. A. Start talking …to a friend, someone who will listen to any kind of story you have that you think is interesting, funny, tragic, moving. Watch how they respond, you will feel where the story is working and where it needs work. Trust that the story you have to tell will absolutely find you. You do not need to hunt it down, just lay the ground work, make it fertile, read what you love, watch you love, trust the process. When the seed of an idea is there, pick up a pen (or start typing) and let the story tell you. Watch it unfold in front of you. That will be your mojo! A. Mezolith. Haggarty and Brockbank. This is a hidden gem. A graphic novel of great beauty, imagination and magic. Graphic novels are emerging into one of the fastest selling and growing literary artforms on the planet. Start with Mezolith. Then V of Vendetta, From Hell, Is it a Bird, Chew, Swamp Thing (Alan Moore). There is a treasure trove out there.